It’s Wednesday afternoon and Sonnie Trotter has made his way to an Internet café in El Paso, Texas. 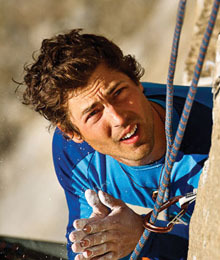 Not that he was dodging the interview, but it took some effort to get the Canadian alpinist on the phone. Trotter is a professional adventure rock climber, and when your job is hunting down the world’s most challenging lines, it means immersing yourself in some fairly remote locations.